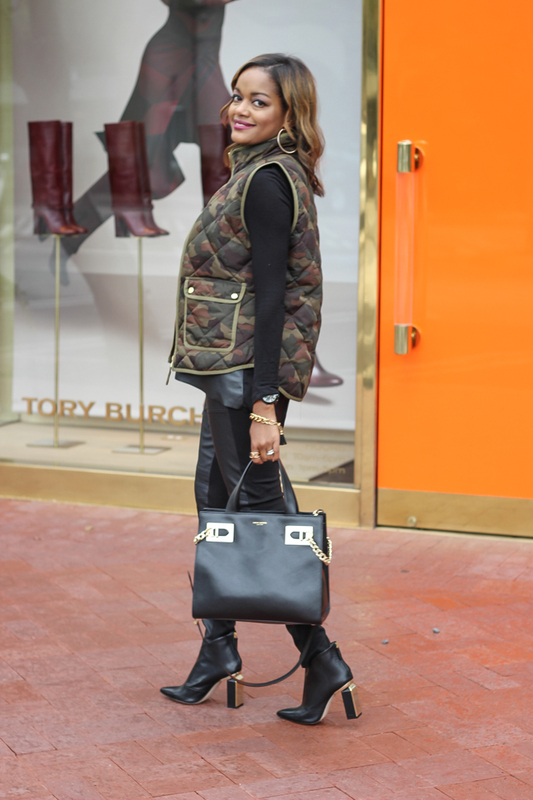 Home Uncategorized	Chic in Camo’! Pt. 2!! Happy Thursday!! Camouflage is easily one of my favorite prints that I can never get tired of. 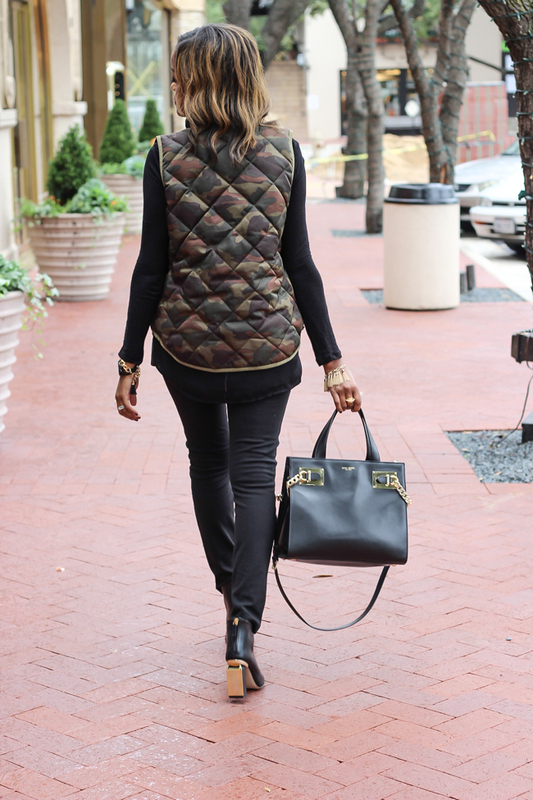 I love it in every form: pants, jacket, scarf, bag and of course this vest! I think camo’ gives a bit of interest to an outfit and makes it stand out. 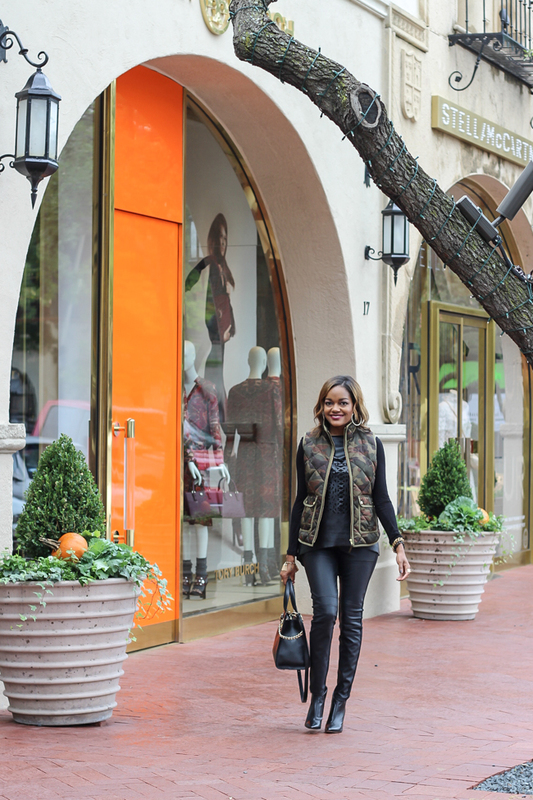 Check out these prior blog posts with a little camo’ action happening worn as a jacket, pants and scarf!!! I kept this look edgy and simple. You can’t go wrong with all black with this sort of print. 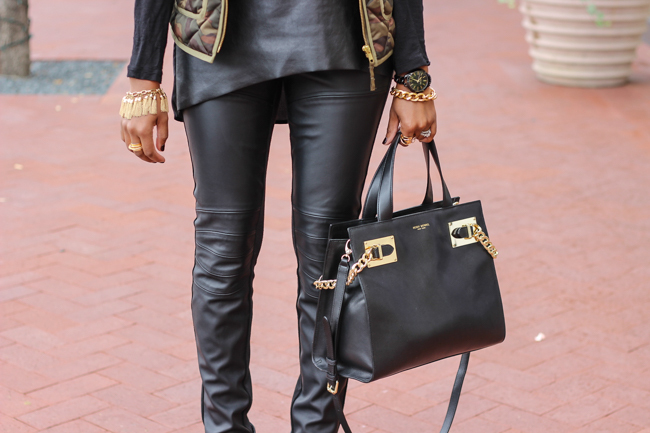 Leather pants are a staple for me in the fall. I have several pairs of leather pants in my collection… and growing!! They are pure perfection and always give you a bit of edge and bit of chic when wearing it. 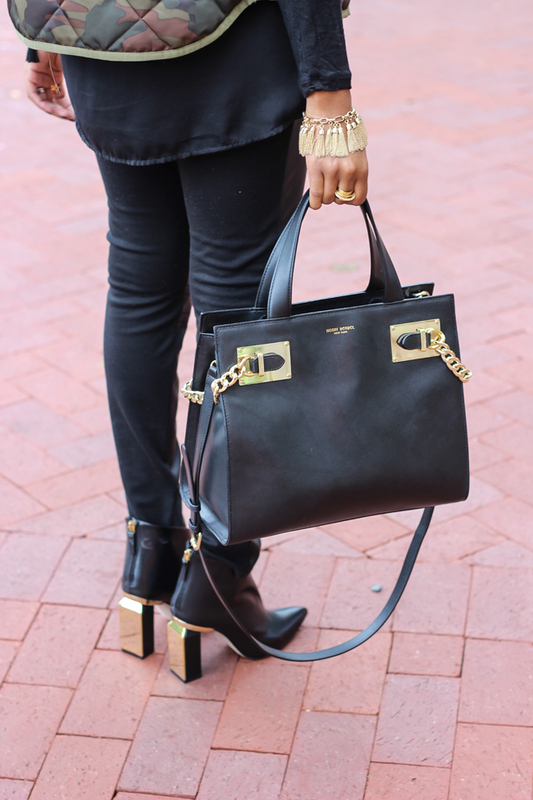 Speaking of chic, how about these booties?!! Umm, they had me at hello!!! As I always said, Zara just knows how to treat a girl and I’m loving it. 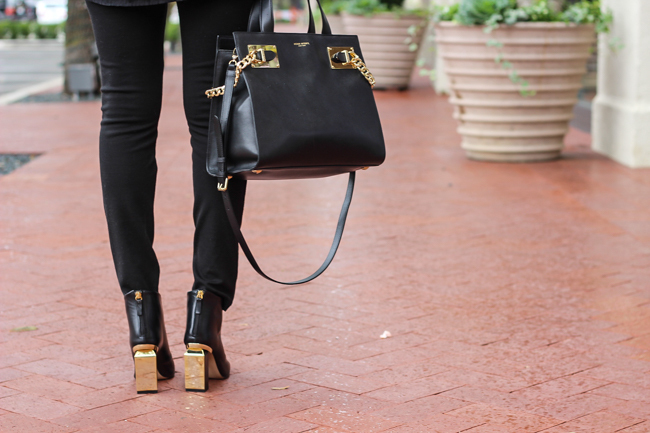 Run and order these gorgeous booties. The gold mirror detail and the cut of the heel is unmatched!!! They are gorgeous and you NEED! 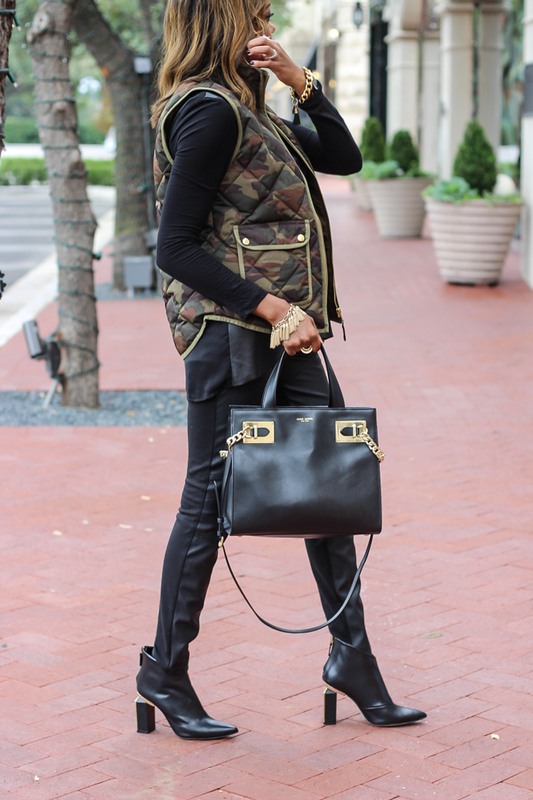 I’ve linked up a few alternatives for you regarding this vest as its no longer available. I know, my heart is broken over that. It’s such an amazing piece and I hate that its no longer being offered. Come on J.Crew, bring it back!!! 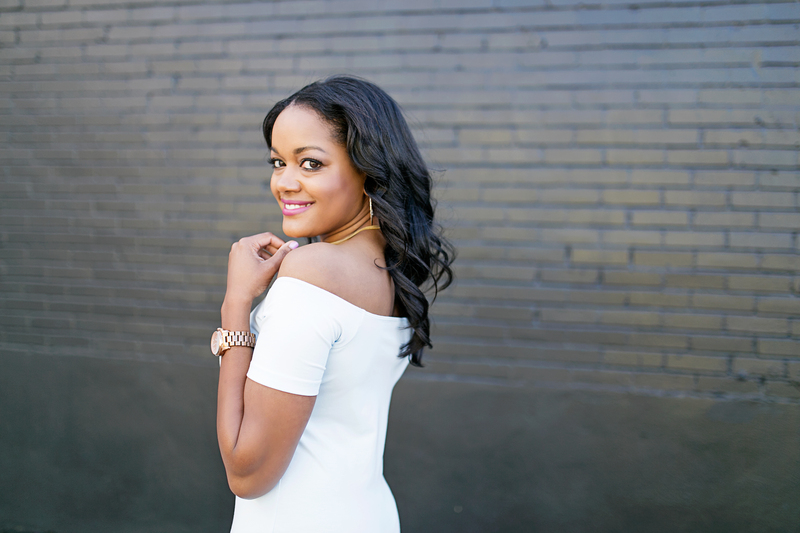 Stop by Sunday for my next post! Have a fabulous weekend!! Obsessed with those shoes!!! Such a cool camo/chic look! Ivette thank you so much for stopping by. Aren't the shoes amazing? !